The results have been extraordinary. A decade-long career of seminal records on Hawtin’s Minus imprint and his own Items & Things label that not only helped define the beloved minimal sound of the mid-‘00s (“On It”), but had a laugh at its expense (“Techno Vocals”), before transcending the limits of the sub-genre completely by incorporating industrial, disco and new wave influences (“Undercover”). No wonder Houle’s records have found their way into the crates of DJs far-flung from his typical list of peers. How many producers can create a track as adaptable as “Bay of Figs,” an underground club favorite favored by his close colleague and star techno DJ Magda that also managed to find its way into the hearts of stadium-trance audiences via megastar DJ Tiësto. Ironically, even though DJs of all sorts play Marc’s records, you won’t find Houle delivering a DJ set any time soon. A committed live performer, he arrives at each gig equipped with not only five superb albums worth of material (plus dozens of favorite singles and remixes released under his own name as well as Raid Over Moscow or Run Stop Restore), but this dedicated craftsman carries with him hundreds of excellent unreleased tunes that he can drop at any moment on an enthusiastic crowd. 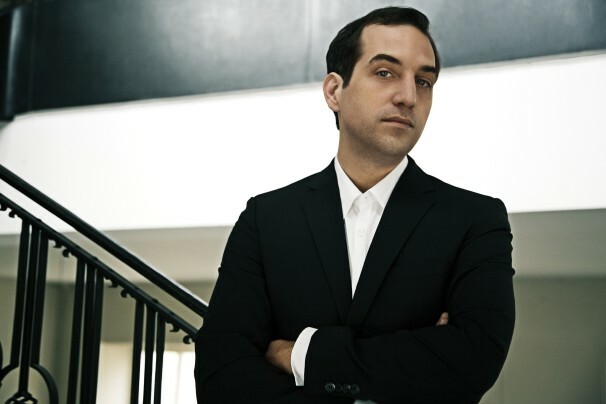 No matter what time or tempo, Marc Houle has exactly the right Marc Houle tunes needed for the nightclub, after party or festival stage. And there seems to be no slowing down for Houle. 2013 sees a slew of releases, starting with a collaboration EP in May with one of techno’s biggest stars, Miss Kittin, followed by another collaboration EP with Items & Things artists Click Box in September. A full-length album in spring 2014 and more remixes and releases on multiple labels will keep us excited as the year goes on.